Place chicken in a baking dish. Poke a few holes in the chicken with a fork or a small knife. Pour Island Vinaigrette over chicken until chicken is well covered with sauce. Cover the dish and marinate chicken overnight in refrigerator. Grill chicken until fully cooked on both sides but still juicy. 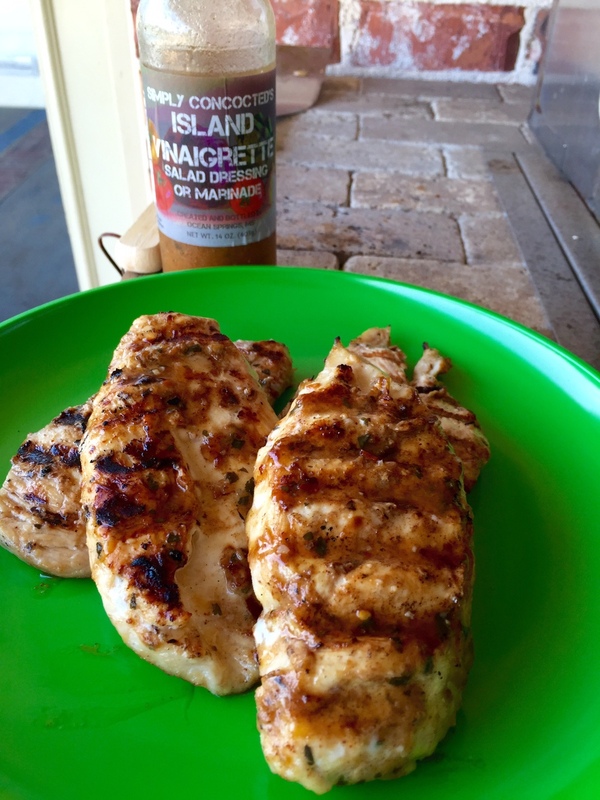 At the last 1-2 min of grilling, drizzle a little bit of Island Vinaigrette on top of each chicken breast. Enjoy!